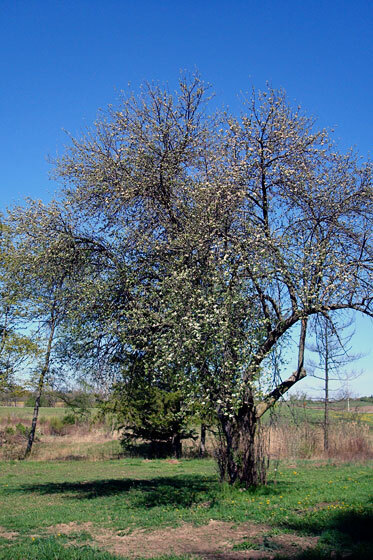 This beautiful big old apple tree sits in the middle of the west meadow, just between the house and the pond. I’ve been watching and waiting all spring for it to blossom. And it finally has. As I was taking the pictures, I realized that the air was full of the sound of bees as they buzzed from blossom to blossom, pollinating the blooms. One was kind enough to oblige me by pausing long enough for a photo, although I could not convince him to pose nicely. 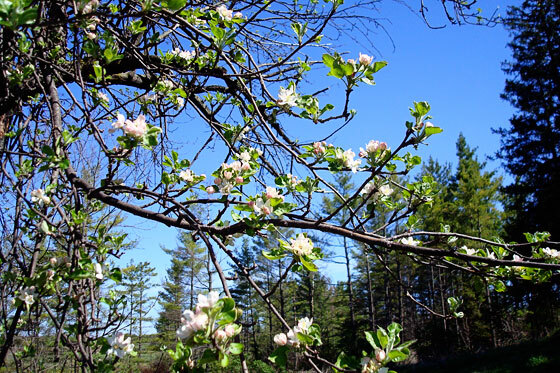 My grandparents owned an apple orchard and farmed it for many years. My grandmother would often talk about driving the loads of apples to the market, and Dad still tells stories of working in the orchard with my grandfather. 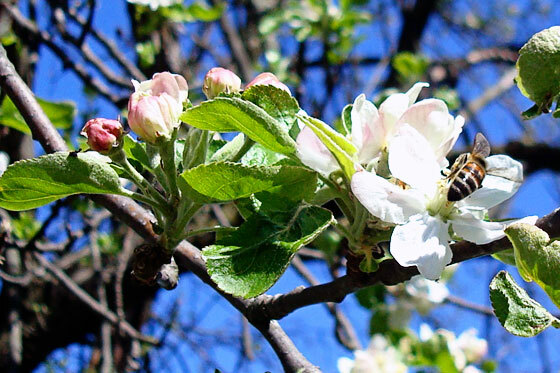 Someday, I’d like to have a small orchard, just for ourselves. I’d grow apples, of course, and also peaches, pears, cherries, plums and maybe even some grapes. For now, this tree will do just fine. So gorgeous! 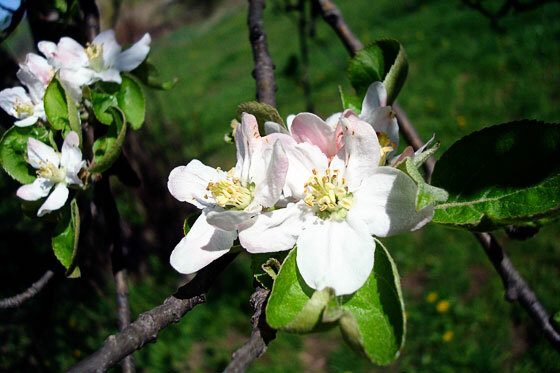 Apple blossoms are just exquisite, aren’t they, especially against the gnarled dark wood. I love the different tones of pink, white, yellow, green, brown all together.